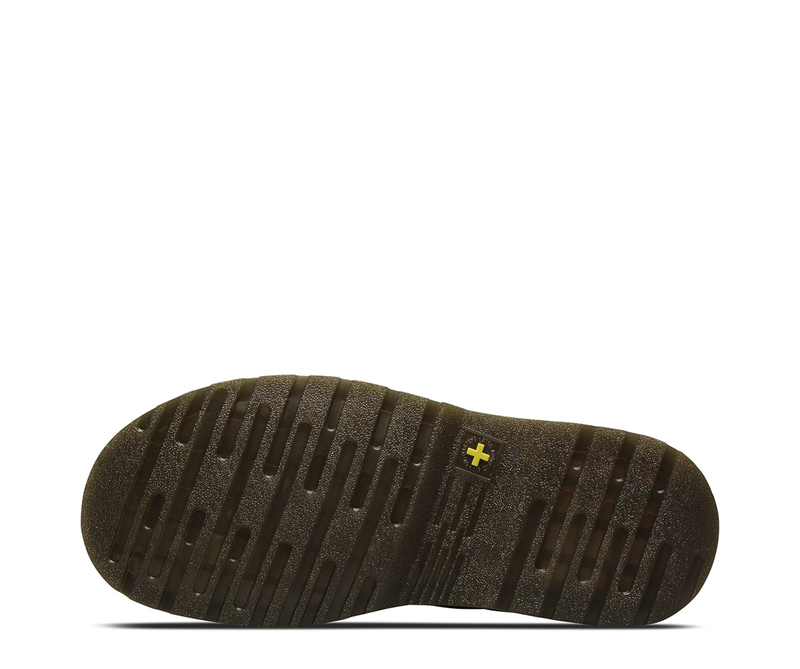 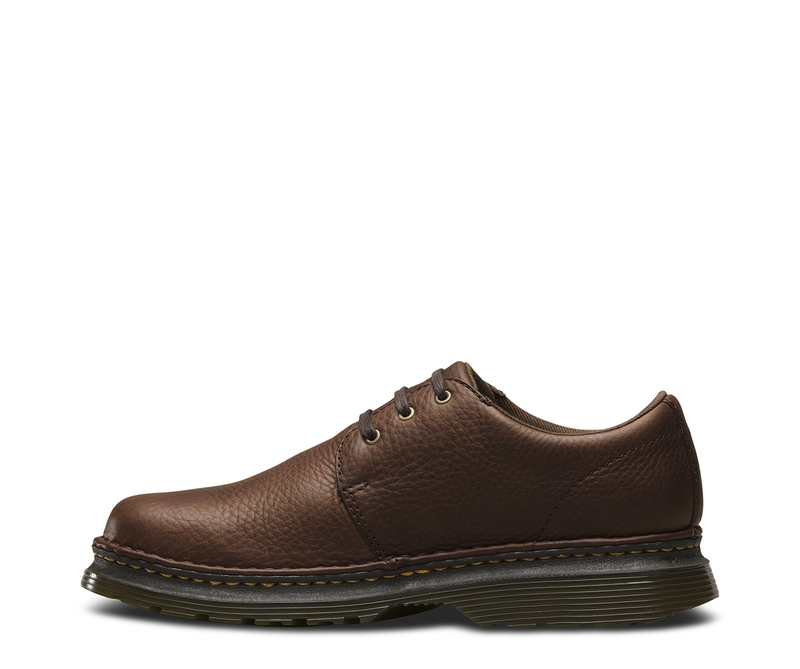 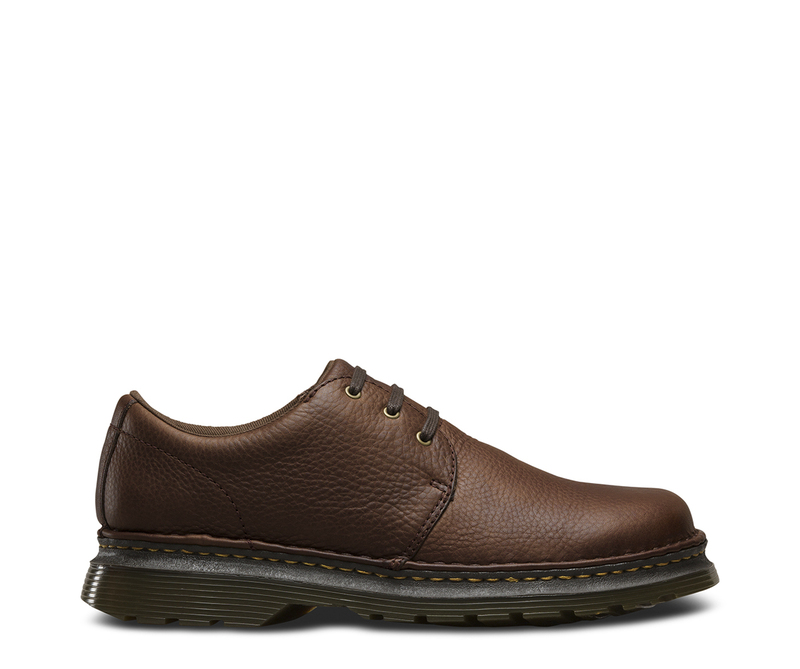 A Dr. Martens shoe is a no nonsense shoe packed with attitude. 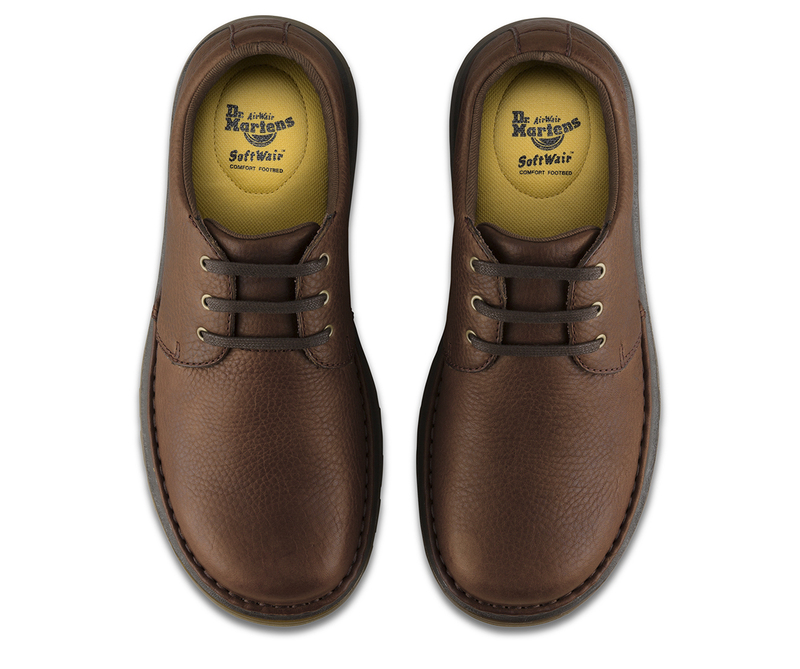 That&apos;s especially true with the Hazeldon. 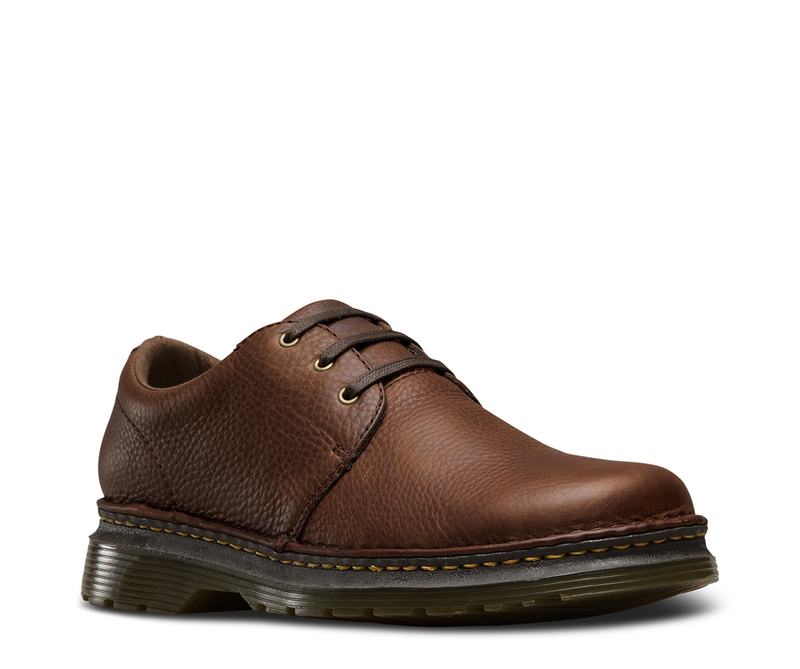 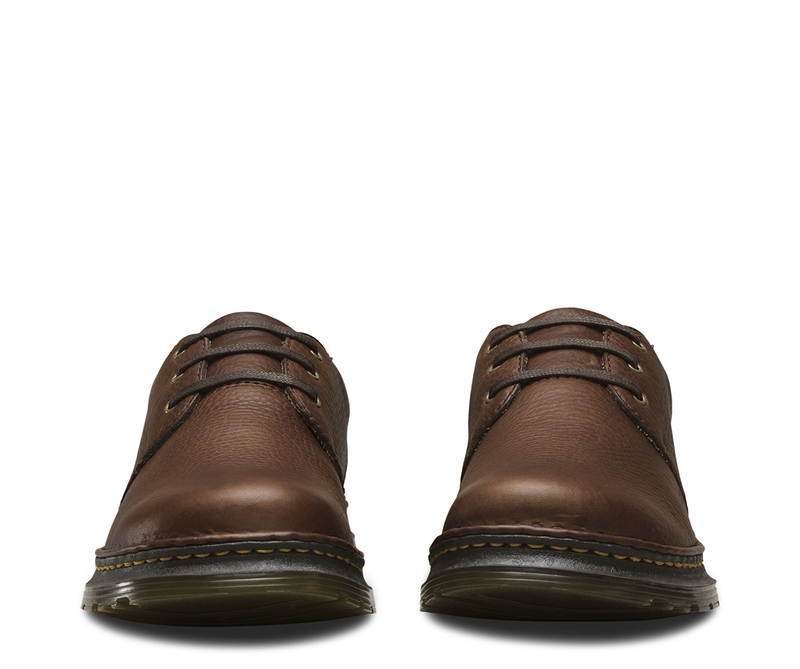 Practical and reliable, the Hazeldon 3-Tie men&apos;s shoe has a comfortable, wide silhouette over a Dr. Martens industrial compound slip resistant air-cushioned sole. 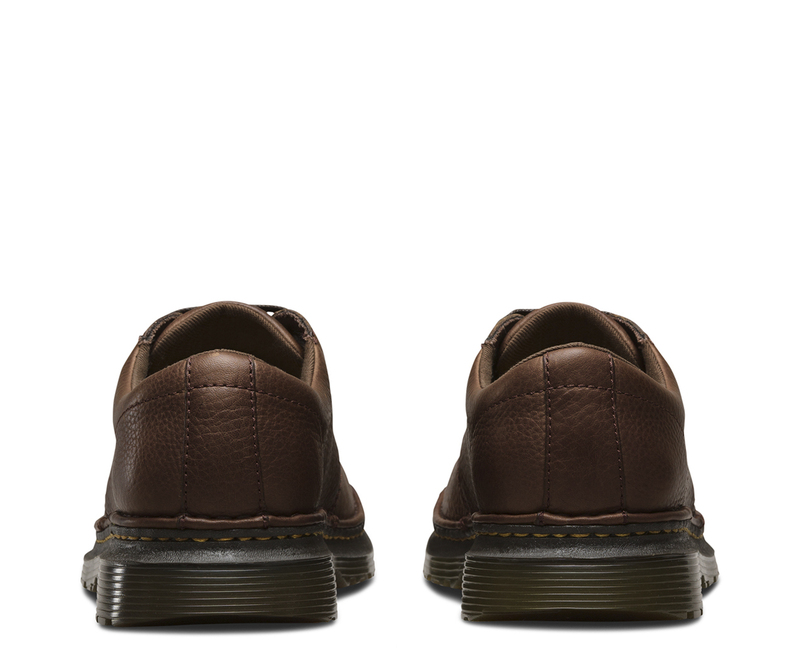 Clean lines combine well with a heavyweight, grained leather—making for a solid everyday winter shoe.